Preparing the soil before installing pavers is key for the future stability of your surfaces. It is a necessary preliminary step in order to prevent your stones from sinking in the future. 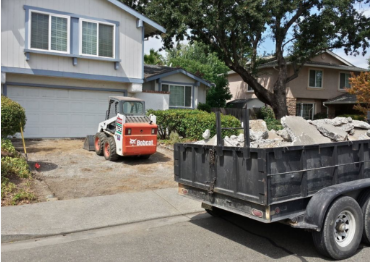 We will remove all the existing surfaces to make space for the upcoming structure: a patio, a pool deck, a walkway, or any other type of outdoor space you would like to build. Preparation is crucial to ensure that any structure that will be built is solid and won’t be damaged easily by the elements. If you choose to work with us to lay pavers following any excavation, we will also compact the sand and seal them to further aid their longevity as well as to protect them from stains or plant growth. Whether you are simply planning an addition to your existing outdoor area or want to build a new construction, our company can complete all of the initial preparations required before the start of any project. Our machines are equipped with all of the attachments you will ever need to achieve best results like stump grinding tools, rollers, and rakes. We are your local excavating service, always ready to assist you when you may call. Installing pavers requires serious excavation and soil preparation work. And it is better done by true professionals if you are looking for good results. Before even starting the digging process, it is important to clearly mark where the electric, gas, and water lines. Your local utility company can do it for you, and the service is often free. 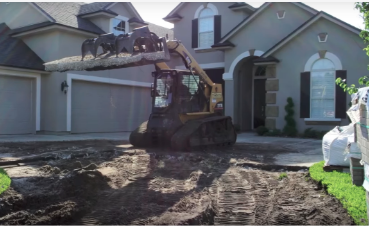 Our company offers expert excavating services in Melbourne, Florida. We will do all the tasks needed such as hauling, filling, and shelling. 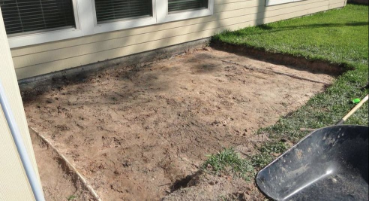 From the moment you call us, we take care of everything and create the layout, stake and paint the perimeter, determine the height of the structure that will be built (like a patio for example), then we will finally proceed to the excavation, tamp, protect from invasion, add gravel and sand, screed sand, and add edging. Pavers and everything related to them is our only speciality and focus. We live and breathe pavers all day, this is our passion. Ask us all your questions and we will gladly point you in the right direction. We put our expertise at your disposal every time you need our support. When we perform excavation, the goal is to remove of existing surfaces to ensure the best foundation for your future pavers. We are fully licensed and insured which means you can trust for your excavating needs. Our specialists have the best equipment and tools at their disposal which is crucial for our exceptional speed and efficiency, along with reliability and flexibility. Tell us about your project today at 321-280-9011 and let us do the work for you. We will give you a free no obligation estimate that you can feel comfortable taking your time to think over. But given the competitive prices we offer and how knowledgeable our experts are, chances are that you will like our proposal.